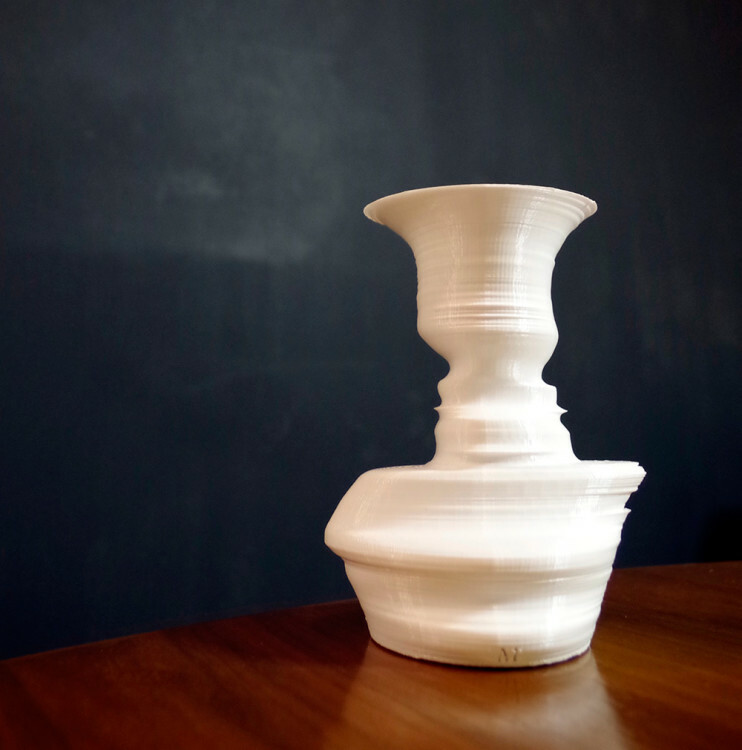 fahz is a custom 3D-printed vase with an asymmetrical form that is computer generated from the silhouettes of multiple people’s faces. The vases are created from multiple photos, each showing a different person in profile. 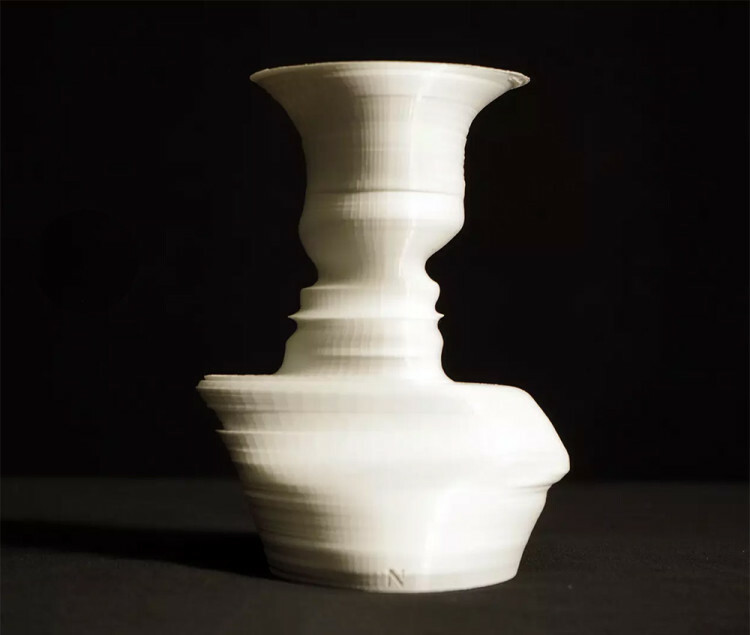 The profiles are morphed so different silhouettes are visible depending on viewing angle (the effect is reminiscent of a Rubin’s vase image). fahz was created by Nick and Martha Desbiens of Desbiens Design Research. The duo is raising funds for the project on Kickstarter.